1. How do you want to be treated in this class? 2. How will you treat others in this class? 3. How can we all create a safe and welcoming environment in which you can take risks? 4. As Mr. Turner asked in his survey, if I live up to your vision of an ideal teacher, at the end of the year, what will I have done for you? We'll see what the students think via Socrative and make adjustments if necessary. p.s. 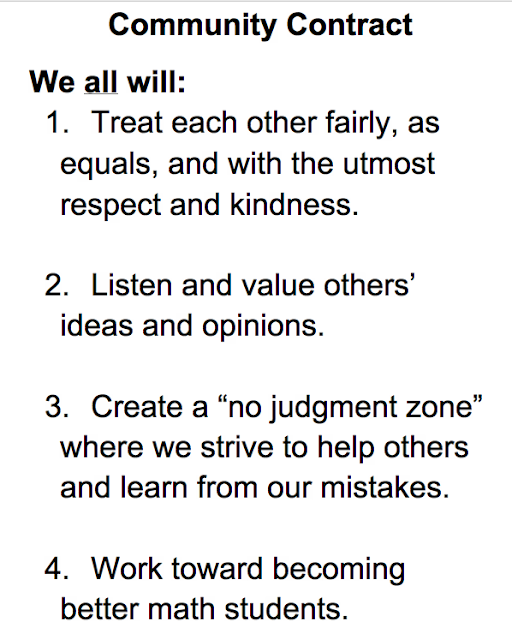 I will need more time to reflect on #4.